Scott Shellstrom is our creativity and innovation expert who combines his experiences, stories, improv comedy techniques, and art to inspire audiences to seek new ideas and perspectives for everyday challenges. Creativity is the most important commodity for the success of business today, and a unique solution to problem solving. Scott is a master storyteller and a modern day Da Vinci. He inspires teams everywhere to rediscover their own ability for creativity and innovation, as he teaches how to prosper from perspective. 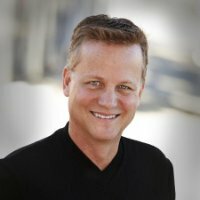 Through unique stories of Leonardo Da Vinci, Scott ignites productivity and inspires unique solutions to everyday challenges. In this video, Scott explains his program, Unleash Your Inner Da Vinci. For booking information on Scott Shellstrom, contact Michelle Joyce or visit MichelleJoyceSpeakers.com. Tune in every Friday for additional featured speakers!